Volunteers are an essential part of the Healing Reins team. 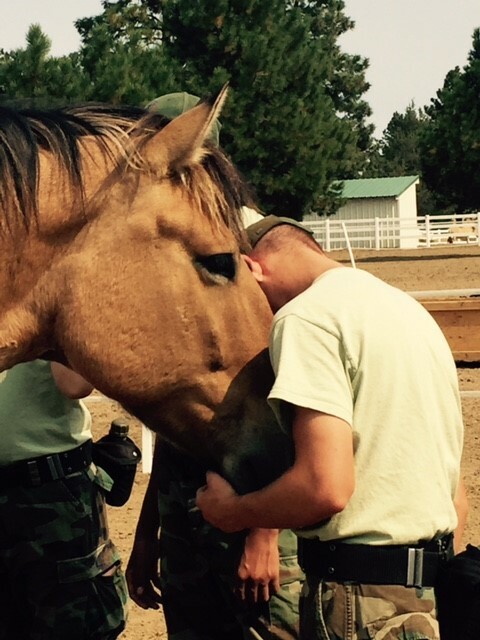 Horse experience is not necessary to positively impact the lives of our participants! Volunteers must fill out the Volunteer Application as well as agree and sign the Volunteer Code of Conduct in the back of the Volunteer Handbook. A $25 registration/processing fee and background check is required for all volunteers in order to keep the volunteer program running efficiently. Minor children (ages 14 and up) who would like to volunteer in the arena must have written parental permission. After you complete the online Volunteer Application and submit your online $25 Processing Fee and Background Check, you will be invited to attend an orientation/training to learn about Therapeutic Riding, our scheduling process, and the various volunteers jobs available. If you have any questions contact lindar@healingreins.org. Orientations include everything a volunteer needs to be successful at Healing Reins. Horse experience is not necessary. After your orientation and training, the Volunteer Coordinator performs a background check. Once that is complete, you will be able to schedule yourself into our online system for whatever days and times work for your lifestyle. A Sidewalker’s job is to assist the rider in all phases of the lesson. Sidewalkers have minimal verbal interaction with the rider and serve as an extra set of eyes and ears for the instructor. Sidewalkers are responsible for the rider’s safety, comfort, learning, and interaction with the horse. The Sidewalker must be able to walk and jog along side a horse while holding on to the rider in a specified safety hold. A Coach’s job is to assist the rider in all phases of the lesson. The Coach interacts with the rider, and also serve as an extra set of eyes and ears for the instructor. Coaches are responsible for the rider’s safety, comfort, learning, and interaction with the horse. The Coach must be able to walk and jog along side a horse while holding on to the rider in a specified safety hold. Leaders have additional training to ensure the safety of the horse and rider at all times. A Leader’s job is to retrieve the horse from the paddock, help with grooming and tacking, and handle the horse during the lesson. You must be a Sidewalker prior to Leading in order to gain experience as part of the lesson team and to have practice with the Healing Reins Way of interacting with the horses. Volunteers must be invited to attend Leader training by staff. A Horse Buddy provides special attention to a particular horse on a regular basis. This may include, grooming, massage therapy, and other opportunities to give the horse well-deserved attention. There are three levels to the Horse Buddy program. Horse Buddies must have completed Sidewalker training and have been a Leader for an extended period of time. Volunteers who wish to Horse Buddy must have the okay from instructors and the Volunteer Manager prior to entry into Horse Buddy program. While there are many ways to work with a horse, we require all volunteers and staff to follow the Healing Reins Way. This ensures that our horses are treated with the utmost respect while numerous individuals are interacting with them. A Horse Schooler provides horses with the opportunity to review appropriate behaviors and exercise at all three gaits while in the arena on a regular basis. A Horse Schooler must have extensive volunteer experience at Healing Reins and special permission from all instructors as well as the Volunteer Manager in order to join the Horse Schooling team.